Rhine, Rhine & Young Law Firm was established in 1928 as a general practice law firm when L. V. Rhine moved to Paragould, Arkansas, and formed a partnership with H. R. Partlow known as Rhine & Partlow. Mr. Partlow later retired and L. V. Rhine entered into a partnership with his brother H. C. Rhine known as Rhine and Rhine. In 1976, Robert E. Young joined the law firm and the name was changed to Rhine, Rhine & Young. H. C. Rhine passed away in 1978, and L. V. Rhine passed away in 1984. In 1999, Mr. Young was joined in practice with his son, Robert P. Young. Robert E. Young “Bob” graduated from Kennett High School and holds a Juris Doctor degree from the University of Missouri. He is married and has three children and four grandchildren. He is a Vietnam veteran having served with the 18th MP Brigade in Long Birch. He is a past President of the Greene County American Cancer Society, former board member of Mission Outreach, and former officer of the Greene County Volunteer Resource Council. He is a past President of the Greene County Bar Association. 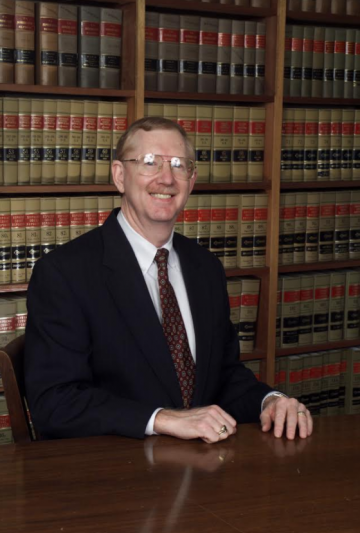 In 1996, he was selected as “The Best Lawyer in Paragould” by the readers of the Paragould Daily Press. Bob Young retired on September 30, 2018. Robert P. Young “Robbie” graduated from Paragould High School. He attended Centre College in Danville, Kentucky, and University of Central Arkansas in Conway, Arkansas. 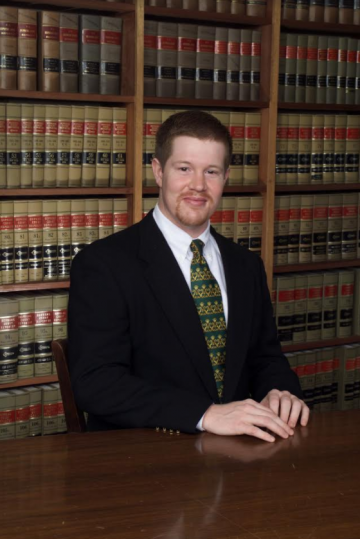 He obtained his Juris Doctor from the University of Arkansas at Little Rock School of Law. Mr. Young is a member of the Paragould Kiwanis Club and is a Paragould Leadership Class IV alumni. He is an Eagle Scout and is a past Boy Scouts of America district board member. He currently serves on the board for MidSouth Health Systems. He is married to Courtney Young, a teacher at Woodrow Wilson Elementary School. They have two children, Charlotte and Elliot.